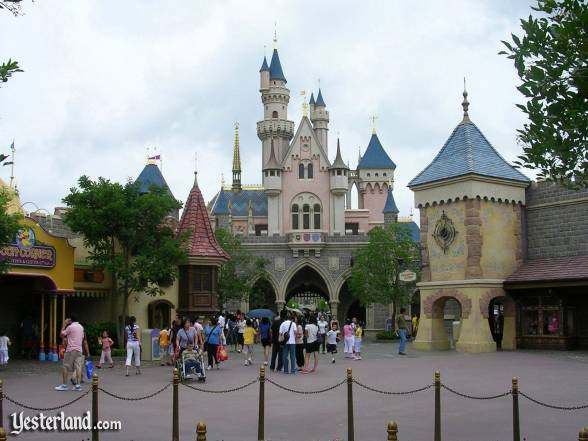 Hong Kong Disneyland and the original Disneyland are very similar in some places, and quite different in others. Christopher “VeRn” Varney provided the Hong Kong photos, and Chris Bales and Allen Huffman provided the Anaheim comparison photos. The two photos of Sleeping Beauty Castle show remarkably similar structures. In both cases the photos were taken from the Sword in the Stone adjacent to the carousel (Cinderella Carousel in Hong Kong and King Arthur Carrousel in Anaheim). In the Hong Kong photo, Pooh Corner (at the exit to The Many Adventures of Winnie the Pooh) is to the left of the castle and the Royal Banquet Hall food court is to the right of the castle, when viewed from this angle. At the Royal Banquet Hall in Hong Kong Disneylands Fantasyland, guests can order international favorites from several quick-service kitchens. Choices include Chinese dim sum, Japanese sushi and tempura, German sausages, and American hamburgers. Theres nothing quite like the Royal Banquet Hall at the original Disneyland. The Village Haus Restaurant sells burgers, pizza, sandwiches, and salads. This is a case where the two parks are clearly different. “VeRn” took a picture of his lunch tray at the Royal Banquet Hall. Chris took a picture of his lunch tray at the Village Haus Restaurant. If he had wanted to, “VeRn” could have ordered a hamburger at the Royal Banquet Hall. 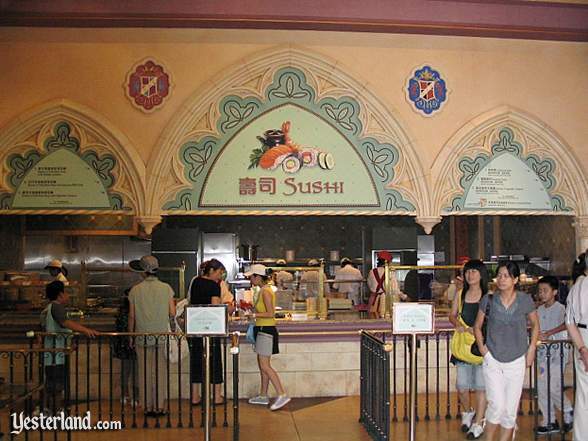 But, for Chris, sushi was not an option anywhere in the original Disneyland Park. Every Magic Kingdom-style Disney park has an attraction that lets kids drive a car. At the original Disneyland, its the Autopia, presented by Chevron. At Magic Kingdom Park in Florida, its the Tomorrowland Indy Speedway. At Tokyo Disneyland, its the Grand Circuit Raceway, presented by Bridgestone Corp. At the Disneyland Paris , its the Autopia, presented by Ford. And Hong Kong Disneyland, its the Autopia, sponsored by Honda. 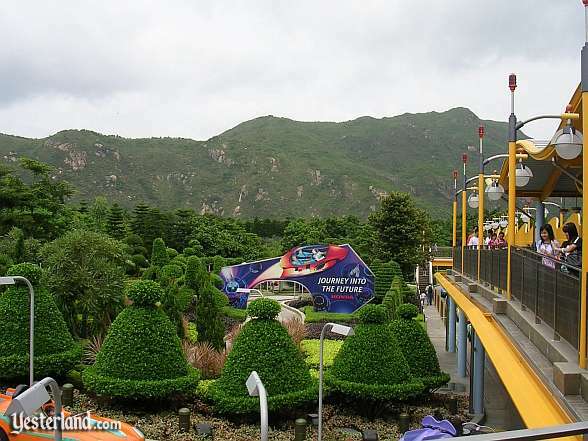 The hills beyond the Autopia, along with the fancifully pruned landscaping, give the Hong Kong Disneyland version of the ride a look like no other. At the original Disneyland, the Autopia is not the original Autopia. Its changed numerous times over the years. The current Chevron-sponsored version at Disneyland is from 2000. The landscaping is more lush than ever. At Hong Kong Disneyland, the Park Promenade connects the theme park, the Disney hotels, public transportation, and the ferry pier. A spectacular musical fountain is a landmark on the Park Promenade. Its directly in front of the park entrance, lined up with Main Street Station. Mickey Mouse surfs up and down on the spout of a whale, surrounded by dancing fountains, all accompanied by a medley of Disney music. At night, colorful lighting adds to the festive show. There are two candidates for an Anaheim counterpart to the surfing Mickey fountain. At the Disneyland Resort, the Esplanade is the plaza between the two Disney theme parks. Theres a large compass rose in the pavement at the center of the Esplanade, essentially in the same spot as Hong Kongs surfing Mickey fountain. But the compass rose is not much of a landmark—unless youre staring at the ground. Downtown Disney performs a similar function to Hong Kongs Park Promenade, as well as being a dining and shopping district. Theres a fountain at the entrance to Downtown Disney. Its not as eye-catching as the surfing Mickey, but its pleasant—so lets declare it to be the counterpart to the surfing Mickey. When you exit through the “Thank you for visiting” gateway at Hong Kong Disneyland, youre on your way to the Disneyland Resort Public Transport Interchange and the Disneyland Resort station of the Disneyland Resort Line, a shuttle rail service with train cars that have Mickey Mouse-shaped windows. When you exit from the Disneyland Resort through this gateway, youre right on busy Harbor Boulevard. Thank you for visiting the first and the newest Disney theme park—and thank you for reading this 2-part series. Photo of Sleeping Beauty Castle from inside Fantasyland at Hong Kong Disneyland: 2007 by Christopher Varney. 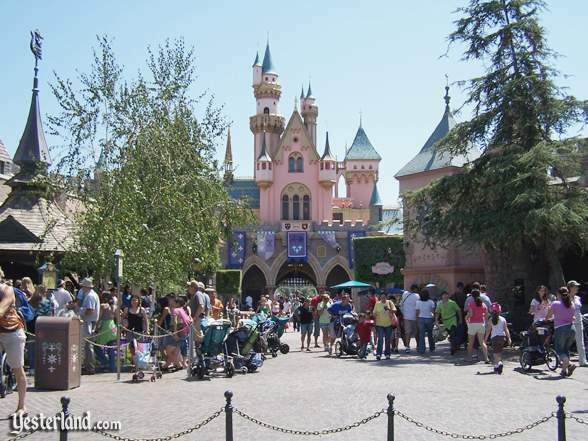 Photo of Sleeping Beauty Castle from inside Fantasyland at Disneyland: 2008 by Chris Bales. Photo of Royal Banquet Hall at Hong Kong Disneyland: 2007 by Christopher Varney. 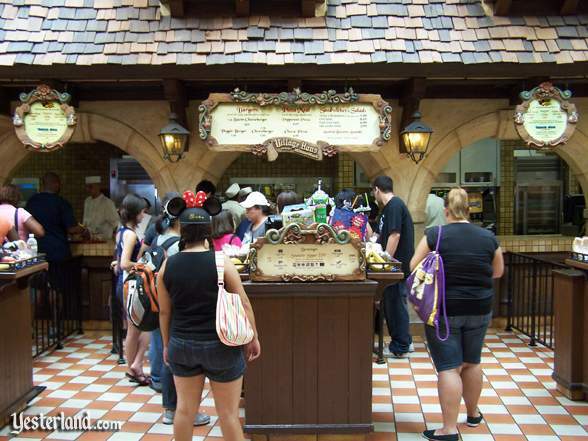 Photo of Village Haus Restaurant at Disneyland: 2008 by Chris Bales. 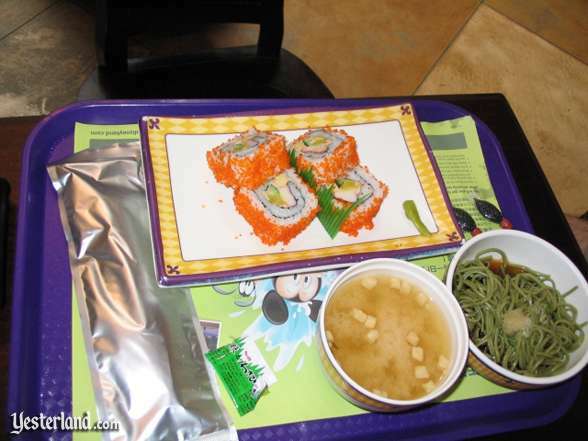 Photo of a counter-service lunch at Hong Kong Disneyland: 2007 by Christopher Varney. 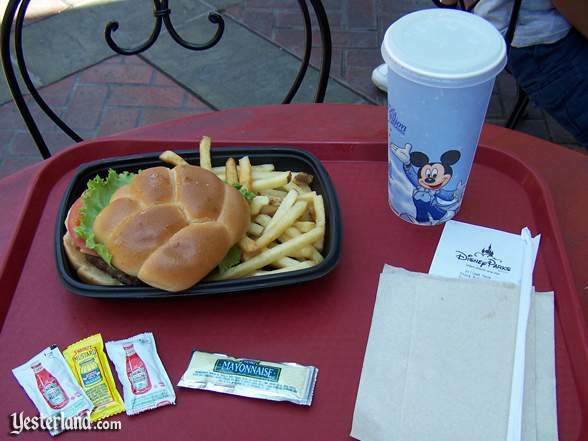 Photo of a counter-service lunch at Disneyland: 2008 by Chris Bales. 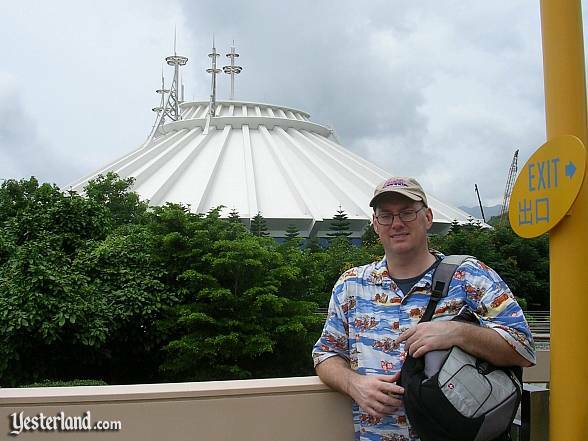 Photo of Space Mountain at Hong Kong Disneyland: 2007 by Christopher Varney. 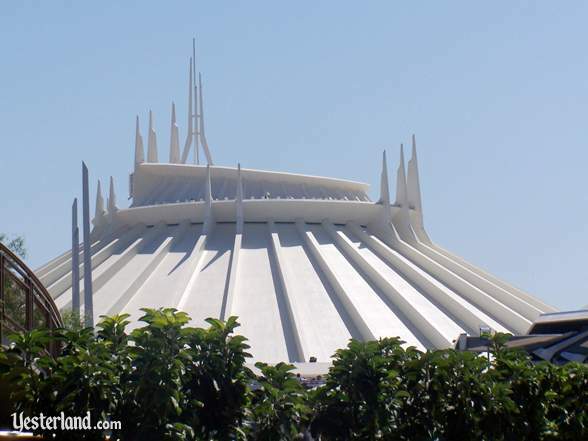 Photo of Space Mountain at Disneyland: 2008 by Chris Bales. 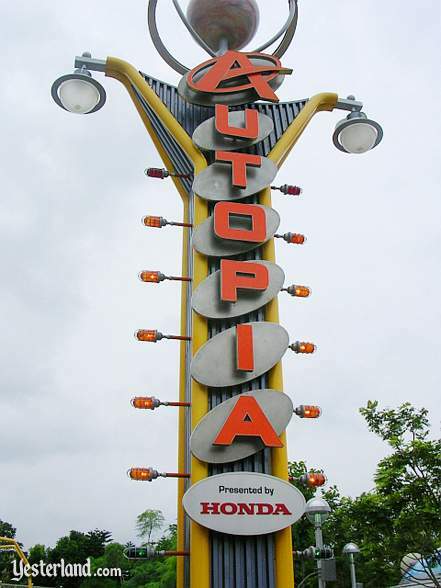 Photo of Autopia, presented by Honda, at Hong Kong Disneyland: 2007 by Christopher Varney. 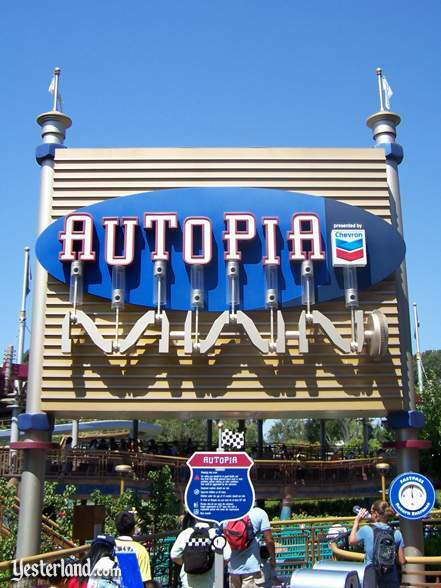 Photo of Autopia, presented by Chevron, at Disneyland: 2008 by Chris Bales. Photo of Autopia at Hong Kong Disneyland: 2007 by Christopher Varney. 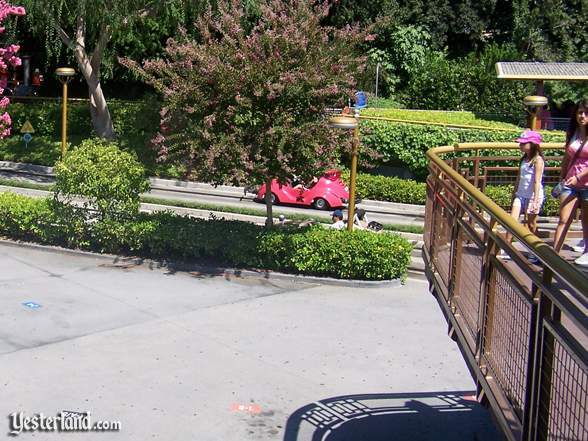 Photo of Autopia at Disneyland: 2008 by Chris Bales. 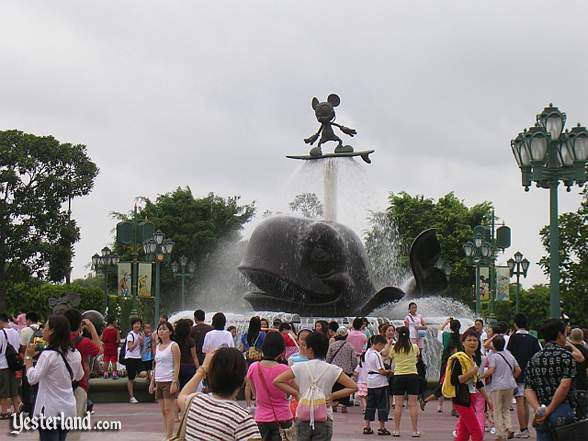 Photo of Fountain on the Park Promenade at Hong Kong Disneyland: 2007 by Christopher Varney. 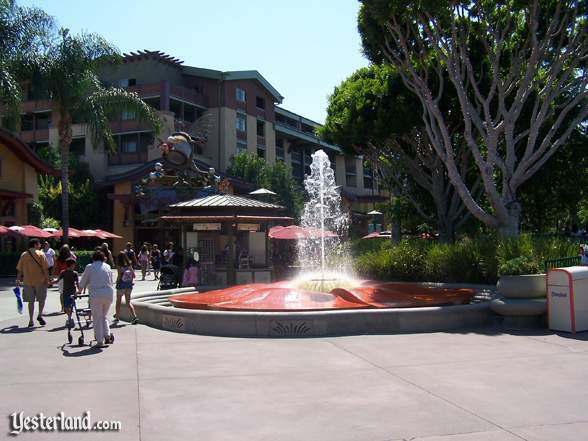 Photo of Fountain at Downtown Disney at Disneyland: 2008 by Chris Bales. 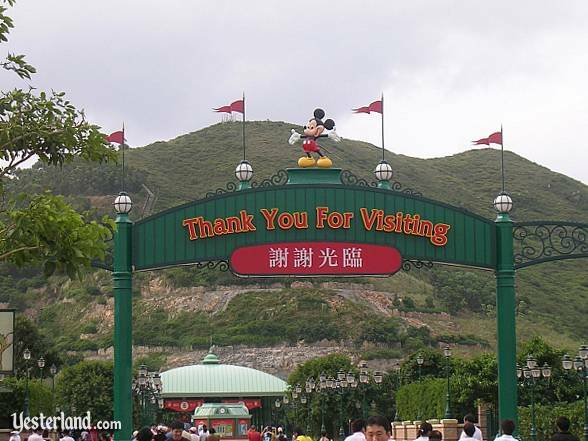 Photo of “Thank you for visiting” sign at Hong Kong Disneyland: 2007 by Christopher Varney. 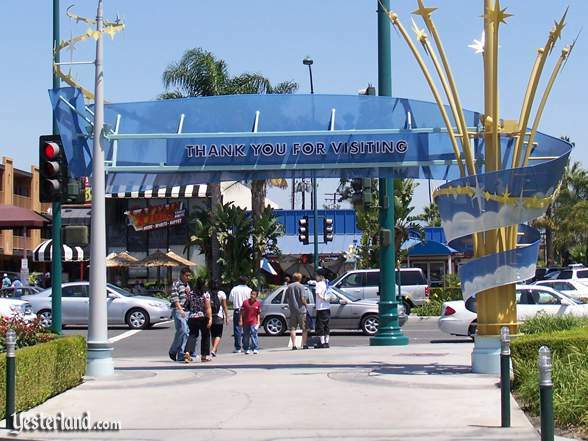 Photo of “Thank you for visiting” sign at Disneyland: 2008 by Chris Bales.